Recently, many iPhone users have reported that their iPhone camera flash not working. Some users face after updating their iPhone to latest iOS version or some face when their iPhone get damaged. However, whatever the reason is, flashlight not working problem can be solved. Here, we come up with methods that you can try out to fix iPhone flashlight not working in iOS 12/11 rather going to Apple Store. Close your iPhone camera app from the background and again, open it. Now, check if the flashlight is working or not. If the issue is within the app then by simply Re-launching an app can solve the issue related to the app. If the first solution does not work then restart your iPhone forcibly. Sometimes, performing force restart on iPhone solves many issues and thus, this problem may also get resolved. For many iPhone users, by simply restarting iPhone forcibly, the issue got resolved and thus, you can also give a try. 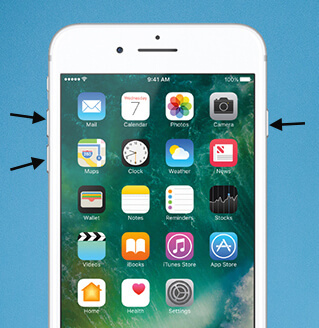 Below are the steps for how to force restart iPhone. iPhone 8 or iPhone X: Press and quickly release the Volume up button and then, press and quickly release volume down button. 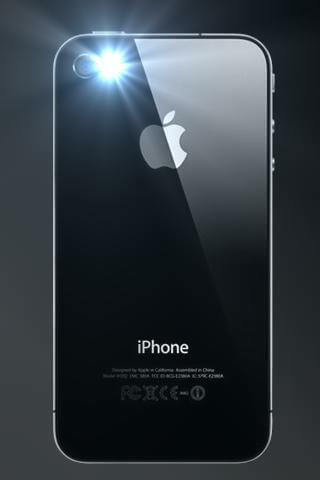 Thereafter, press and hold down the power button until the Apple logo appears on your iPhone screen. iPhone 6S or earlier: Press and hold down power and home button together. Hold down until Apple appears on your iPhone screen. iPhone 7 or 7 Plus: Press and hold down power and volume down button together until the Apple logo appears on your iPhone screen. Step 1: Open the Settings app on your iPhone and then, move to General settings. Step 2: After that, click on "Reset" option and then, click on "Reset All Settings". It will ask for the passcode if your device is protected with a passcode. Make sure that you have updated your iPhone to the latest iOS version. Sometimes, the old iOS version can also create problems. Many bugs are fixed when the next iOS version is released. That's why it is important to update iPhone software. Step 1: Open the Settings app on your iPhone and then, go to "General" section. Step 2: After that, click on the "Software Update" and if the next update is available then download and install it. Tried all the above solutions and still, facing iPhone flashlight not working problem. Don't panic as you can use iOS System Repair software to repair the iPhone system without any data loss. 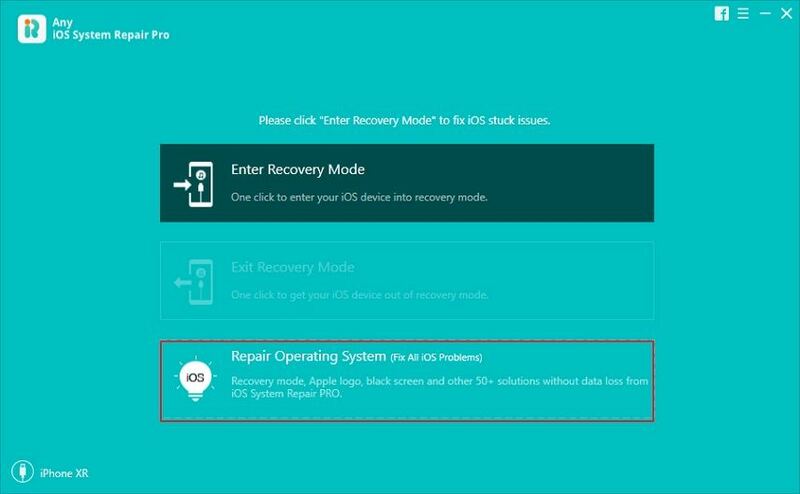 This iOS repair software can fix more than 50 iOS related issues such as iPhone stuck on Apple logo, iPhone black screen and more. Step 1: Once downloading and installing the software on your PC, run it and after that, connect your iPhone to the computer using a digital cable. Then, select Repair operating system from its interface. 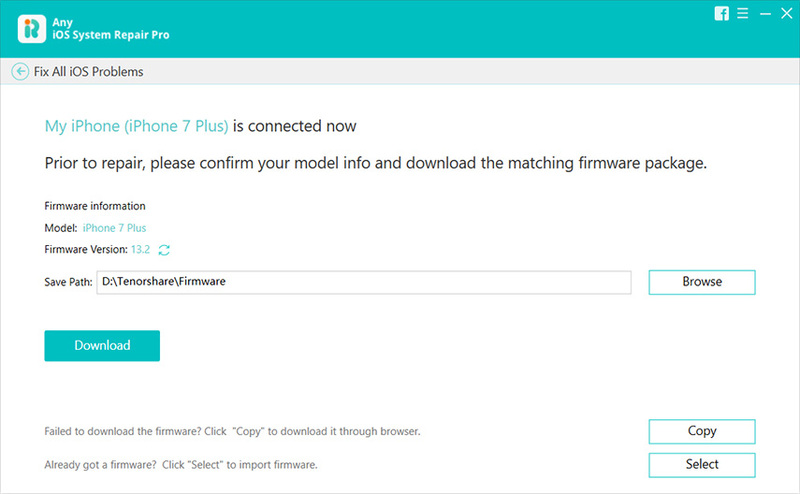 Step 2: After that, you need to download firmware package that is required to fix the issue and the software will provide you an appropriate a firmware to download. Step 3: After downloading the firmware, tap on the "Repair Now" button to begin the repair process. Once software repairs your iPhone operating system, flashlight problem will also get resolved. Don't want to use a third-party tool? Then, there is also another solution you can try and it is that restore your iPhone with iTunes. 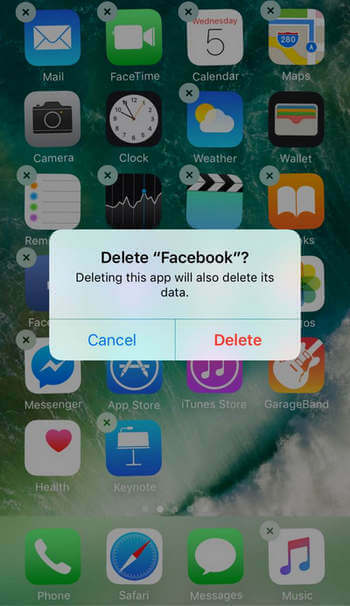 This method will erase existing data on your iPhone. Thus, backup your iPhone data before proceeding with this method. Step 1: Run the iTunes latest version on your computer and after that; connect your iPhone to the system using a USB cable. Step 2: Once iTunes detects your iPhone, click on "Device" icon and then, go to "Summary". After that, tap on "Restore iPhone". Step 3: Next, you need to follow all the instructions to restore iPhone. That's all on how to fix flashlight won't work on iPhone. Hopefully, this guide helps you in resolving the issue for you. However, the most recommended method is to use Any iOS System Repairbecause it will fix iOS issues without any data loss. Moreover, it works with all iPhone models and supports every iOS version.